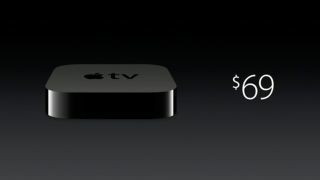 Apple started its Apple Watch event by announcing Apple TV has dropped in price. Previously $99 (about £60, AU$108), the little black box is now $69 putting it closer to the Chromecast's $35 (£30, about AU$38) low price point. Nothing has really changed beyond the drop - it's still an Apple TV 3 - but HBO Now has been added to the mix so you can watch Game of Thrones and scream in anger the next time another major character dies. Follow along with our live blog!